Most documentaries regarding the Holocaust are thick with moral inquiry, but the ethical fulcrum typically supports puzzlement over the proliferation of the Final Solution and the aesthetics of Nazi brutality. The nonfiction film Killing Kasztner is thus notable for, if nothing else, introducing a Jewish character endowed with much of the same historical controversy as his German counterparts, despite his relative obscurity even in Europe and Israel. Hungarian Jew Rezco Kasztner was a respected lawyer who finagled a bargain with the infamous Eichmann for roughly a thousand and a half Jewish lives in 1944. But while many extant survivors of that small, fortunate group view Kasztner as a savior, his barter with the Nazis furnished the enemy with hundreds of trucks and other supplies that were later used to transport more victims to Dachau and Auschwitz; furthermore, the bodies he paid for were predominantly friends, family, and members of the Hungarian intelligentsia. 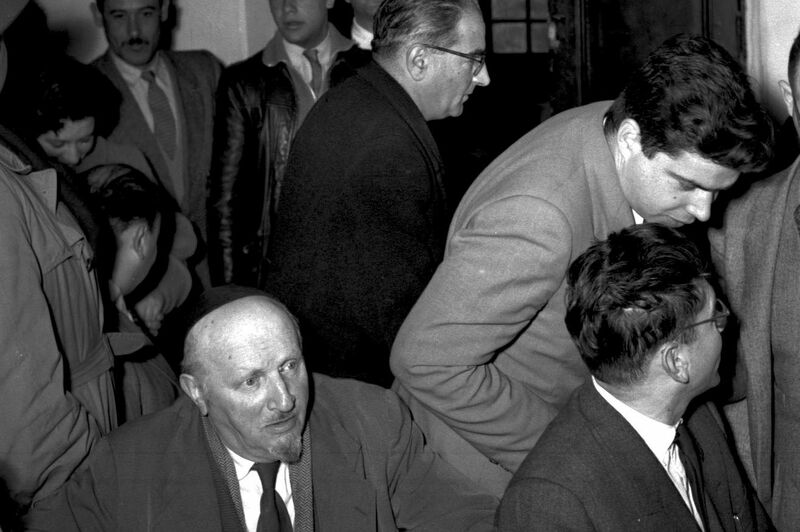 As the dust of WWII settled, Kasztner was put on trial in the new state of Israel for collaborating with war criminals, and was eventually assassinated. Director/narrator Gaylen Ross interlocks three separate searches for that boon of boons, the Truth as it pertains to the story at hand: We see her own journey as a filmmaker uncovering details through interviews with Kasztner’s descendants, as well as the attempts of Kasztner’s only daughter Zsuzsi to exonerate her father’s legacy and, most remarkably, the prolonged oral history of Kasztner’s assassin, an extreme Zionist who viewed the enigmatic figure as a valuable political target. This trifurcation is a fairly logical attempt to include as many distinct perspectives on the case as possible (though the character of the director is too dull to have any structural influence, and the testimony of the gunman, whose unrepentant hamming poorly bookends the film, is sprinkled throughout the duration as a cheap, sensationalist device), but the angular diversity of the participants’ goals confuses the already complex content with unnecessary agendas. While the bald facts adequately unfold through archival photographs and ponderous voiceovers, a tedious tug of war between defenders and detractors weighs down the film’s present-day footage. As we follow Kasztner’s offspring defending their patriarch through multiple Holocaust museums and Israeli community centers, Ross attempts to coax us into solving the moral Necker cube for ourselves, but the arguments on both sides are so numbingly repetitive throughout the film’s two hours that by the end we’d rather leave the history for someone else to revise. The Holocaust has always been the exemplary gray area, like an event forged from the very farfetched “what ifs” with which we illustrate the complexity of deontological imperatives. And yet, for all the philosophical scuffling to which the tragedy has been subjected, the most powerful studies have viewed the menacing facts more solemnly, like a koan that would be disrespectful to overthink. While Ross admirably approaches her topic as a misunderstood figure with heroic intentions, she inaccurately assumes that we, today, have the imaginative tools required to make sense of all the dumbfounding decisions made during the Holocaust. Conversely, there’s little room in Alain Resnais’s Night and Fog for a squabble over Rezco Kasztner; that film isn’t afraid to embrace what it will never know, and to depict that very ignorance as something sublimely Plutonian. But Resnais and his collaborator Jean Cayrol also possessed a nuanced understanding of the moral vacuum left behind by the death camps; with Killing Kasztner, Ross seems to merely observe this perplexing void without daring to penetrate it. If she had, she might have uncovered the same truism that Resnais thrives on and Tarantino flouts: There are no heroes in the Shoah.